FraggleWorks trains, coaches and mentors business owners in all aspects of running your business. Hollie’s goal is to empower you to take control of your business through strategic planning and marketing. She has a particular interest in getting businesses online and enjoys looking at digital marketing, social media and websites. In her workshops, she spends time with delegates to understand which challenges they are facing and helps come up with solutions so that they can move forward. Hollie can also demonstrate tools and apps to help people manage social media accounts reducing that overwhelming feeling. She loves showing the best ways to create amazing images and videos to really make your business stand out from the crowd. She has Certificates in Professional Development (UCB), Leadership and Management (ILM) and Principles of Social Media (ILM). Hollie was awarded a Certificate of recognition from the British Computer Society in 2018 for her work in the UK digital industry and was a Woman’s Who Award winner. Hollie was previously voted one of the Top 50 Women in Tech by PCR Online and was a Woman Of The Year Finalist. Hollie is a Growth Hub Guru and currently leads the Telford WiRE Networking Group, alongside fellow Growth Hub Guru - Helen Leathers. 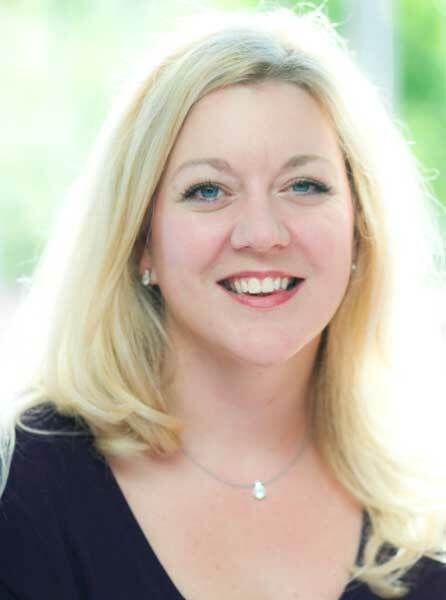 She is the Enterprise Adviser for Haberdashers’ Adams School in Newport, a Business Mentor for Shropshire Youth Support Trust and has recently joined Telford Business Board. As a registered Business Mentor Hollie can also help you with goal setting, business planning, automating your business and being your virtual business mentor who holds you accountable. If you want to take charge of your business, please get in touch, we'd love to hear from you.